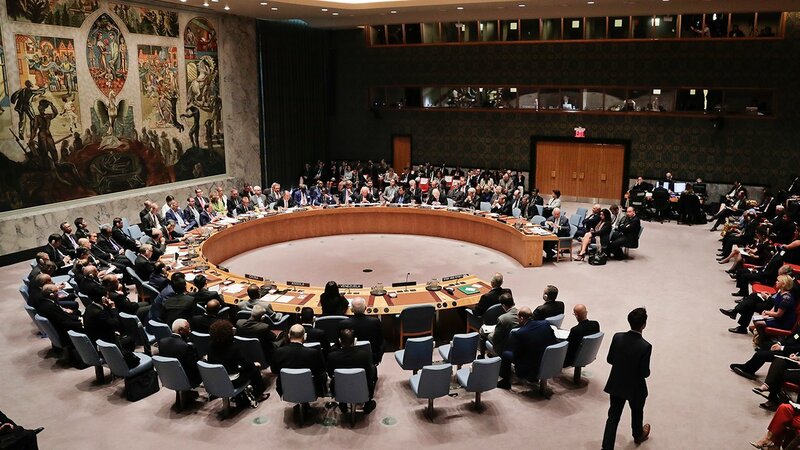 UNITED NATIONS -- In a striking rupture with past practice, the United States allowed the U.N. Security Council on Friday to condemn Israeli settlements in the West Bank and east Jerusalem as a "flagrant violation" of international law. In doing so, the outgoing Obama administration brushed aside Donald Trump's demands that the U.S. exercise its veto and provided a climax to years of icy relations with Israel's leadership. The decision to abstain from the council's 14-0 vote is one of the biggest American rebukes of its longstanding ally in recent memory. And it could have significant ramifications for the Jewish state, potentially hindering Israel's negotiating position in future peace talks. Given the world's widespread opposition to settlements, the action will be almost impossible for anyone, including Trump, to reverse. The resolution said Israel's settlements in lands the Palestinians want to include in their future state have "no legal validity." It demanded a halt to such activities for the sake of "salvaging the two-state solution." Loud applause erupted in the council chamber after U.S. Ambassador Samantha Power permitted the resolution to pass. The condemnation, a day after Egypt suddenly postponed a scheduled showdown, capped days of frantic diplomacy in capitals around the world. American officials indicated they would have been prepared to let the resolution pass, despite blocking such proposals for years. Israeli officials said they were aware of such plans and turned to Trump for support. The U.S. president-elect sent a tweet urging President Barack Obama to block the U.N. effort. Egypt then pulled its resolution, with U.S. officials citing fierce Israeli pressure as the reason. Israeli officials then accused Obama of colluding with the Palestinians in a "shameful move" against the Jewish state. Washington denied the charge. Most of the world is united in opposition to Israel's construction of Jewish settlements in lands it seized in the 1967 Mideast War. The primary holdout at the U.N. has been the United States, which sees settlements as illegitimate but has traditionally used its veto power as a permanent member of the Security Council to block such resolutions on the grounds that Israeli-Palestinian disputes should be addressed through negotiation.